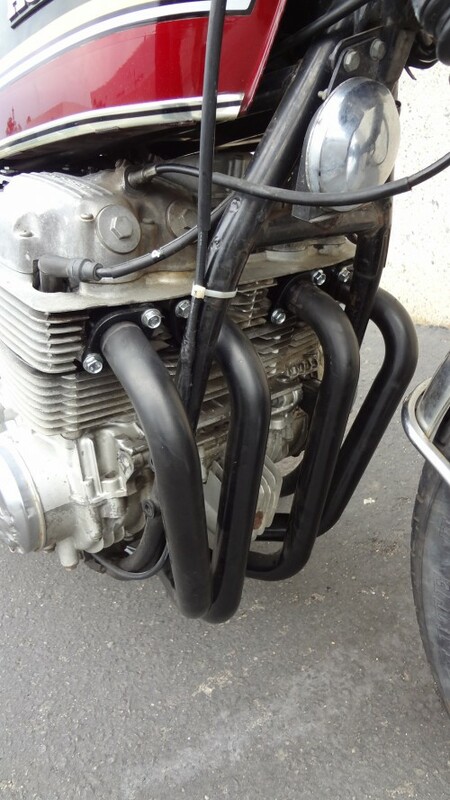 Right now the bike is as you see above, but it was like this below, I think it looks way sharper like the above and I am now adding a few other tricks like polished fr0nt end tonight. 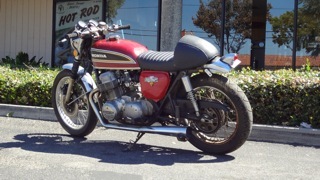 Well, here we go with a running CB750K I have here at the workshop, I have just rebuilt the carb’s and got the bike going, I rode it around today and it is a fun little motor, but it is up for sale, as I am making some room in the back workshop to have a service area and thought that I would advertise it on here and of course Ebay. 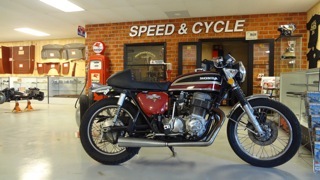 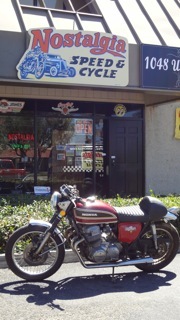 The bike is a 1976K model and needs TLC, but is all there and as I said have a title for it and the numbers match. 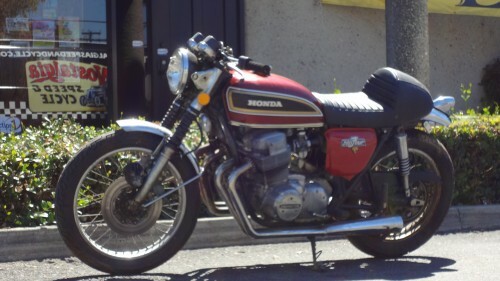 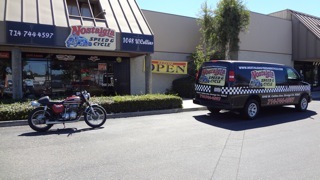 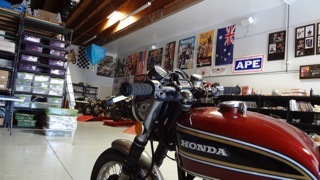 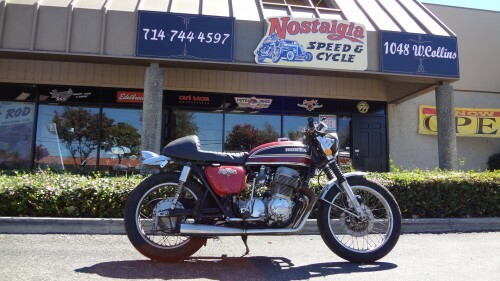 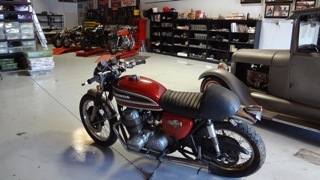 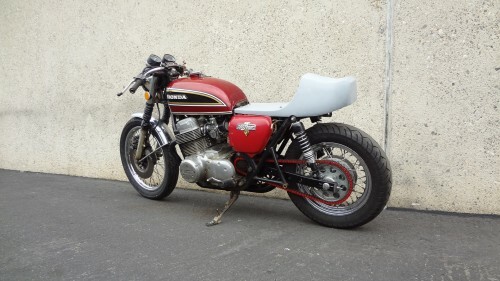 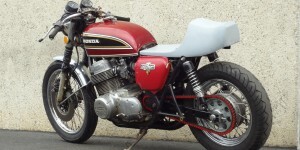 Be a great Cafe Racer project for some one, as this has a title and runs and rides. 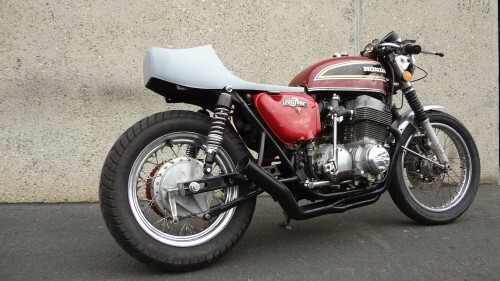 I think I am going to change a few things on this bike, so, today i shall pull the swing arm and fit one of my drilled 2X1 Dresda style models and then fit a 16″ rear wheel, also, I think I will take the exhausts off and fit my 4 into1 system, then this will probably have another front end in it and a set of Clubman bars, so, scroll to the bottom f this page later to day, to see if i have managed to complete any of the things I said I would get done today. 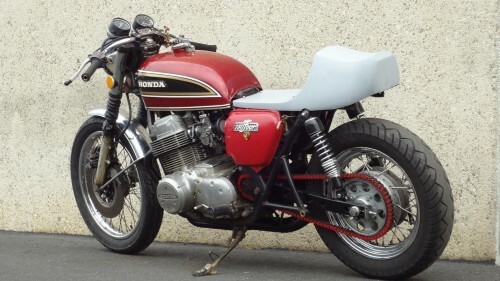 OK, I am now changing the look of this bike and so far I have changed the rear swing arm and the handle bars, and now I have fitted a 4 into 1 exhaust, and a Totally rebuilt and polished set of carbs. 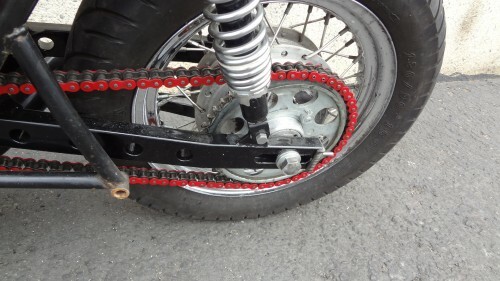 You can also see I have fitted a 16 inch rear wheel and a New RED 530 Chain, as well as my Razorback seat base. 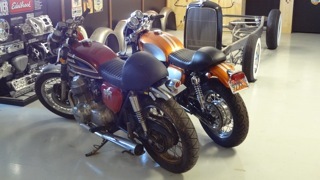 The 4 into 1 Barks like a mad dog and she runs really well and smoothly through all the gears. 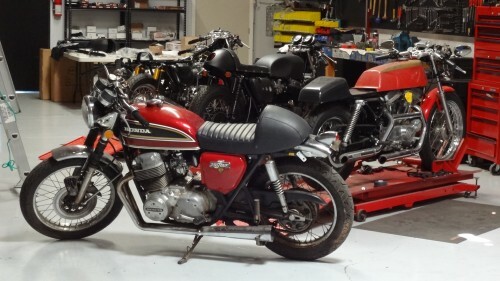 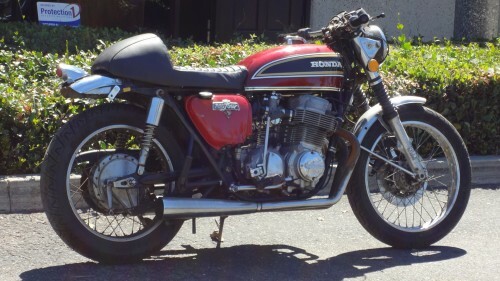 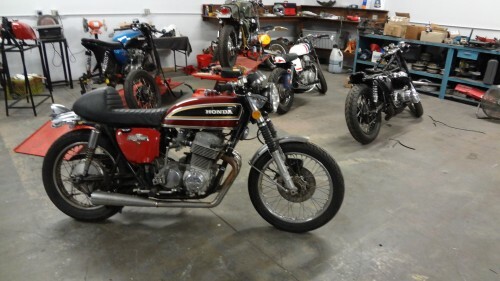 I am now going to pull the front end off and rebuild the forks and polish them and fit new gators and better chrome headlight ears, so stay tuned….